Printed marketing materials are still very effective today. But, each company needs to know their budget and target market. If you are a small company with a small marketing budget then you have to consider where best to use your marketing dollars. For most small business owners they want to utilize their marketing dollars with digital materials instead of printed materials. With small format printed materials (ie- brochures, flyers, booklets, sales letters, post cards, …etc.) there is a great expense to not just printing thousands of materials but also to the postage. For one round of direct mail a small company can spend upwards of $3,000 for materials and postage. Most direct mail must under go three rounds before you receive interested replies. The truth is direct mail works best when it is coupled with other forms of marketing such as digital or web marketing, email marketing, radio or tv and large format printed graphics. In our experience, large format graphics tend to have a more effective visual impact for certain types of companies (ie- billboards, banners, vehicle wraps, various signage). If your company depends on a lot of foot traffic this is a very effective form of advertising. It is obvious that any business must have a great website as a home base for customers seeking information or for online ordering. But, it is also important to display that website prominently wherever it can get the most visibility. Direct mail and yellow pages ads don’t get this done as effectively. For example, if your restaurant runs a yearly or bi-yearly promotion, printing a banner that you can reuse for several years is very cost effective. Also, if you prominently display it on the side of a busy road many more eyes are being directed to you on a daily basis. For commuters going to and from work they could conceivably see your promotion and website address up to 20 times per week. As you can see these views can start to add up and can help your business establish brand identity, credibility and excitement about your product, in the community. If used properly large format graphics can compliment your other marketing strategies very well. 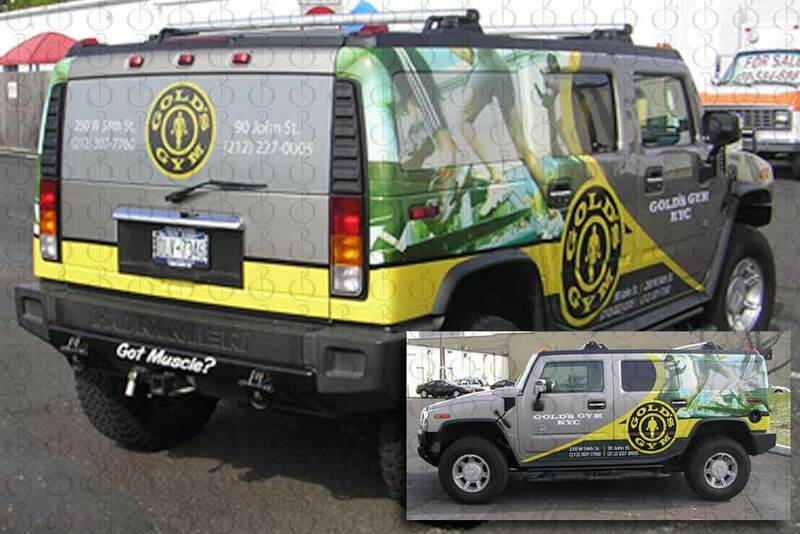 Just like a well placed ad in the right magazine or periodical can make a huge impact on your store front business or website so too can a vehicle wrap, well placed banner or creative billboard. When developing your marketing strategies it is important to remember that it is good to have a mix of different types of marketing. But if you are a small business looking to appear bigger than you are what better way than to go big and save some money in the process. Back Door Designs has been designing for large format graphics since its inception and we know how to bring your vision to life. Let us show you the way to get noticed so you “do not go gentle into that good night” like so many other small businesses.